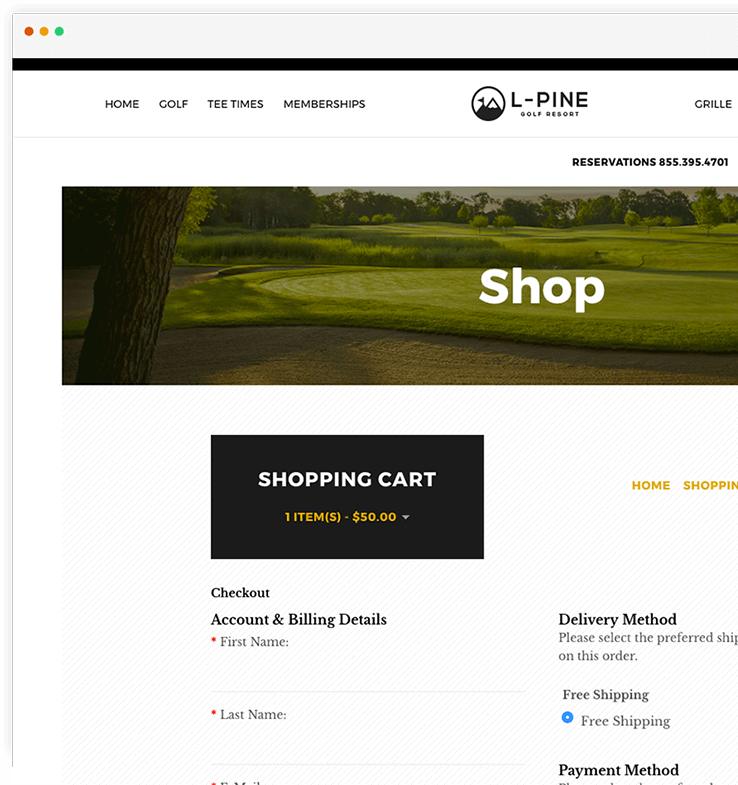 121 Marketing combines design and function to craft websites that perform to strengthen your brand and maximize your revenue from the web. 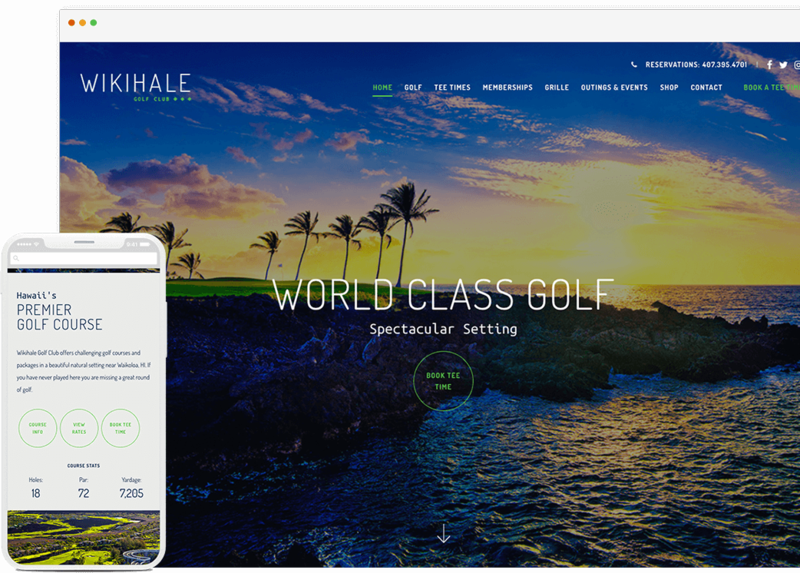 We design golf course websites that perform across all devices, ensuring your customers have a seamless experience. Our easy to use content management system gives you control over your website and access to make changes as you wish. We integrate your social media into your website to make it easier for customers to find you, connect, and follow you. 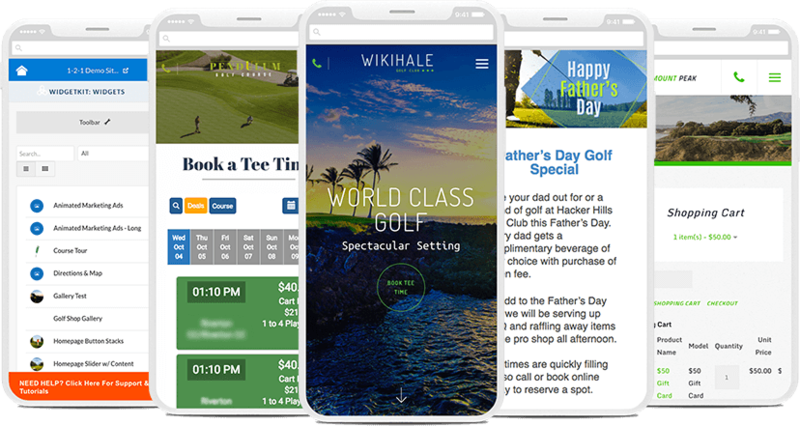 Your booking engine is integrated with your website, to give your website users a seamless tee time purchasing experience. With our event registration software, interested users can register and pay for events on your website. Get more online merchandide purchases via our e-Commerce app. Enjoy complete control over your store and detailed sales reports. Find out with our free Digital Marketing Report. We analyze your online strengths and weaknesses. 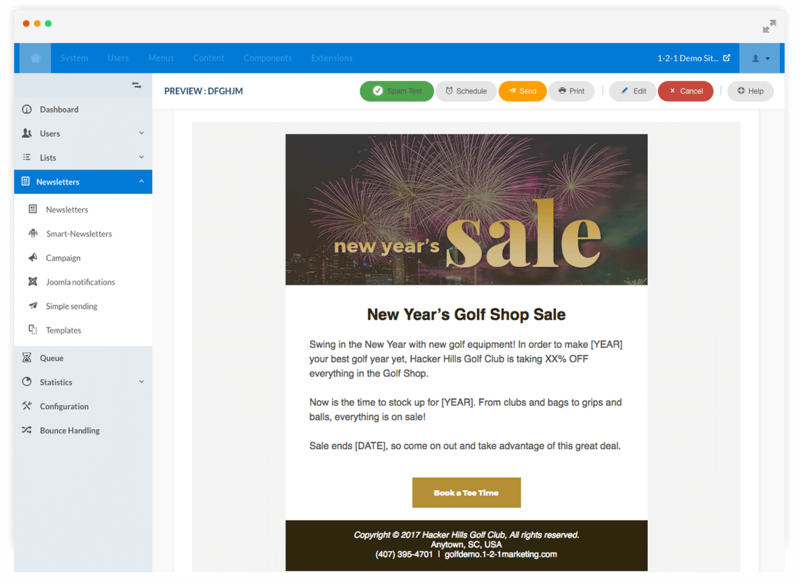 Increase your engagement and increase your revenue by sending more emails with our easy to use email marketing platform.